Windows XP will not be sold by Microsoft from today – although there are a number of loopholes that means the chirpy little operating system will remain a key product. Yesterday was the final day that the major OEM manufacturers are allowed to sell computers with only Windows XP installed as the OS. However, manufacturers will be taking advantage of several scenarios to continue providing the OS. The most overt one of these is a Microsoft backed scheme to continue using XP in sub-notebooks – small, low-cost portable computers like Asus' Eee PC and also the high-profile Intel Classmate and OLPC projects. Secondly, OEMs are allowed to offer XP as a downgrade – as long as they put Vista on the hard drive as well. In other words, users can opt to downgrade their new machines from the resident Vista to a copy of XP that is also pre-installed. According to the hardware analysis run by Valve's Steam program– a popular games updater and utility– a staggering 80 per cent of participants are still using the older Windows version – underlining the reticence of many to upgrade to Vista. Indeed, the apathy towards Vista's arrival and the subsequent failure to catch the imagination has proven to be a major boon for XP's life – bringing about the kinds of loopholes detailed above. 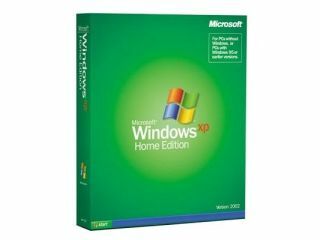 Microsoft has already indicated that it will have an extended window of support for XP – stretching to 2014, and with Windows 7 arriving in the first month of 2010, Vista may well never have the impact of its older brother.